AP Teachers Transfers Online Application form at CSE AP Teachers Corner, web options at Official Website cse.ap.gov.in. CSE AP has official website for teachers who are working in AP State. Teachers Tranfsers Online Apply Guidelines, Teachers Transfers Web Options Guidelines - Web options Online Submission Guidelines. AP Teachers Transfers 2017 Online Application, Web Options at cse.ap.gov.in./Teacherscorner CSE has released the Guidelines and suggestions to facilitate the Online, Web Based Counselling for Teacher Transfers, June 2017. 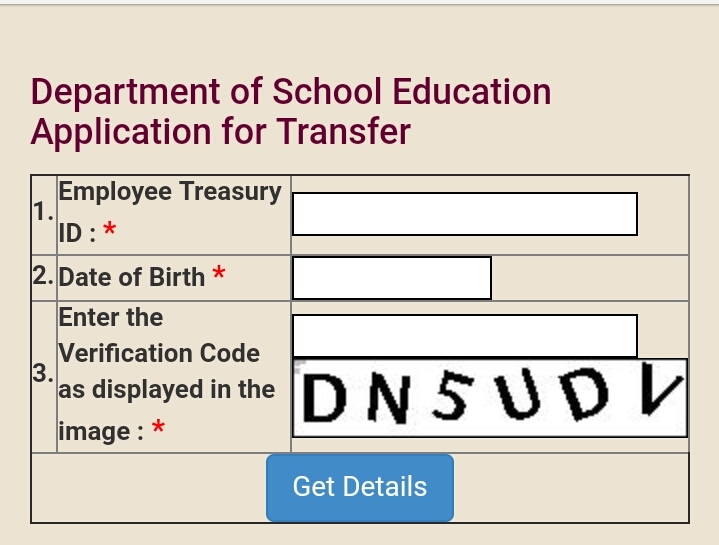 Step by Step process to be followed for filling Online Transfer Application Form. Guidelines for filing up the Transfer Application and Web Options by the Headmaster or Teachers for Teachers Transfers 2017. Web Options Process Guidelines, Web Options Step by Step Guidelines. Welcome to all the Headmasters and Teachers to the online, web based transfer counselling system. This is designed to facilitate an easy, transparent, objective way of identifying vacancies, filing transfer application and making options/choices one is interested in. The Centre for Good Governance (CGG) is providing al technical support to facilitate the online application submission and web options exercising and drawing up of seniority lists and transfer lists. ⇨ Schedule for Online Web Based Counselling for Teacher Transfers. AP TEACHERS Transfers Online Application form, Transfers Web counselling process, How to Apply Online Application, Declaration Certificates, AP teachers transfers schedule 2017, AP TEACHERS Transfers 2017 Online Application Submission Instructions 2017, Teachers District wise Tentative Seniority List at http://cse.ap.gov.in/DSE/. f. In case of HM/Teacher is a Recognised Teachers’ Union Office bearer, the system will generate the points as per the orders of Governmentii) If the details not correct or does not relate to the candidate, press 'BACK' button. 17. Final seniority list will be generated after completing the above process and as confirmed by the District Educational Officers concerned. 4. After this web option, screen will be displayed with following auto populated values. g. Whether effected by Rationalisation h. Present working Place, Mandal etc. 5. The HM/Teacher who comes under compulsory transfer, they have to choose all the available vacancies except their present working place.Others may select at least one vacancy. 6. Then after the Name of Mandals where the vacancies are available including the vacancies likely to be arose gets displayed on the left side column of the screen. 7. The Mandals have to be selected in the preferential order as desired by Teacher. The selected Mandals will be moved to right side column of the screen in the selected order. In right side column of the screen, there is also a provision to change the selection order of the Mandals by moving up or down. 8. After selection of Mandals then need to press SUBMIT button to get the school names where the vacancies are available. 9. After submit button, the next screen gets displayed with two columns. In the left column of the screen the schools names gets displayed as in the order of preferential Mandals chosen by the individual. 10. As in the case of selection of Mandal, here also, School Names are to be selected in the preferential order for web counselling and selected school names will be moved to right side column of the screen in the selected order. In right side column of the screen, there is also a provision to change the selection order of the School names by moving up or down. 11. After selecting all the details, press PREVIEW button. This will display the details submitted by them. 12. If they found that all the details are correct, press SUBMIT otherwise press EDIT and resubmit the information. 13. Editing of web option is allowed for ONE time by sending OTP to their registered Mobiles. 14. Based on the web options exercised by the individual and Seniority of the teacher, the allotment process will be done and transferred teachers’ details along with proceedings will be hosted in the website. 8. All the uploaded certificatesshould be submitted to the concerned officers i.e.., MEO/Dy. EO/DEO. AP Teacher Transfers Apply Online application form, Web Option entry Online @cse.ap.gov.in, Teachers Transfers 2017 Online Apply web Options at Official Website cse.ap.gov.in. CSE AP has official website for teachers who are working in AP State.